The Backup Manager is now available in FishEye and Crucible OnDemand. This is useful if you want to import OnDemand data into local FishEye and Crucible installations. In Atlassian OnDemand, log in as an administrator. At the top right of the screen, choose the cog icon , and then choose <product> Admin for the product you are in (for example 'JIRA Admin'). Select Back up FishEye & Crucible data and click Create Backup. The minimum interval between two backup operations is 24 hours. Thumbnails do not appear for images with spaces in the name. AOD-6203 Confluence's People Directory is empty. We've been progressively upgrading JIRA OnDemand with JIRA 5.2 features over the last few months. In this final upgrade, the new JIRA search is out of Labs and is the default search for everyone. The completely redesigned JIRA search lets you quickly find and organize your issues, so you – and your team – can focus on what matters most. Getting the job done! We've also implemented enterprise scale improvements, redesigned project workflows, new webhooks integration, help features for new users and much more in past upgrades. Read the full description of the JIRA 5.2 features. Check out GreenHopper OnDemand 2012-11-12. Confluence OnDemand has been upgraded, as part of our ongoing commitment to deliver improved functionality regularly. Wishing you could have all your notifications in just one spot? 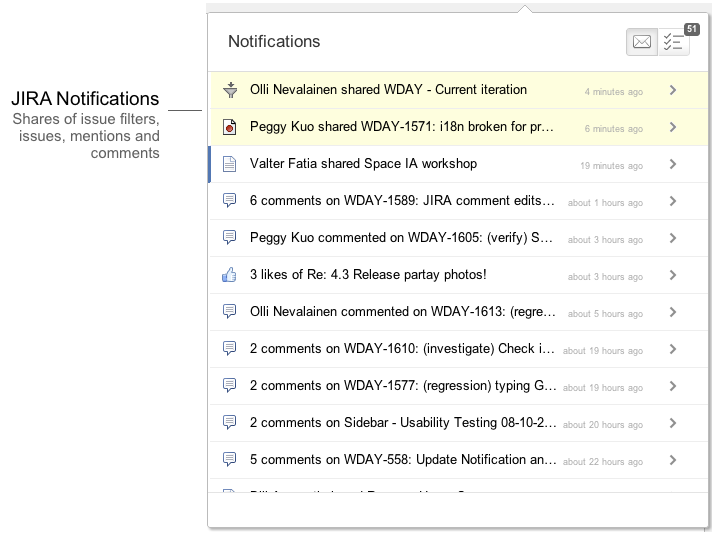 Your Confluence workbox can now display notifications from JIRA and from other Confluence sites. Follow the guide to Configuring Workbox Notifications, then see the power of workbox in action. The default setting for the Keep me logged in checkbox on the login dialog has been changed to be unchecked. The issue that caused Team Calendars in Confluence to be displayed as expired has been fixed. Unable to access Confluence through WebDAV clients. Bonfire has been upgraded from 2.5 to 2.6. Details of the complete feature set can be found on the Bonfire 2.6.0 Release Notes. Tempo has been upgraded from 7.3 to 7.3.3. Balqamiq for JIRA has been upgraded from 2.1.15 to 2.1.21. Refer to the Balsamiq blog post for details of the release: http://blogs.balsamiq.com/product/2012/08/03/last21/. JIRA OnDemand has been upgraded, as part of our ongoing commitment to regularly deliver new functionality to JIRA OnDemand. 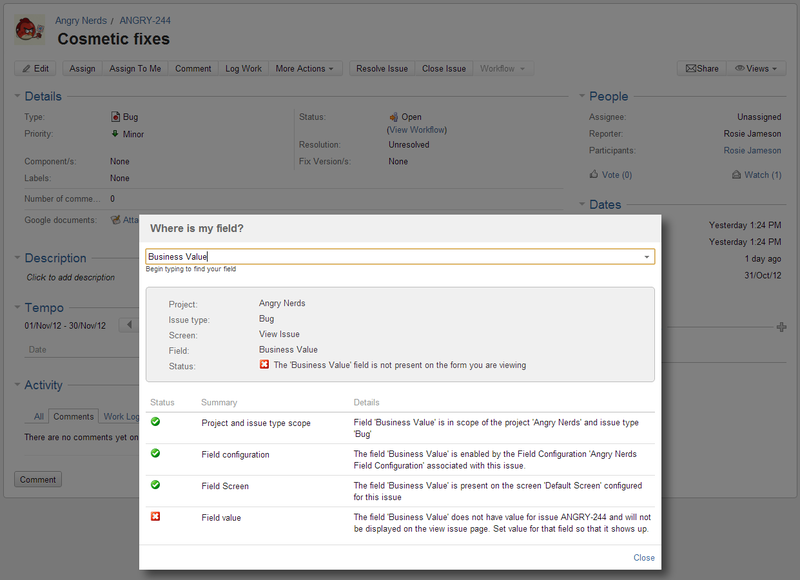 To check out the JIRA features we've added in previous weeks, see this page: JIRA 5.2. The new issue navigator is now available as the default issue navigator for all JIRA OnDemand customers. This upgrade also introduces improvements to the new issue navigator, webhooks and the workflow scheme designer. Refresh your search results — If you want to be sure that you've got the latest results without reloading the page, you can refresh the search results using the icon. Know when your filter has changed — Editing a filter displays an menu on your filter. You can save or discard your changes via the menu. See the owner of an issue filter — The profile picture and name of the owner of a filter is prominently displayed when viewing the filter. The new issue navigator is a Labs feature in this upgrade (see Labs Features in JIRA ) and individual users can still switch back to the old issue navigator at this stage. We would love to hear your feedback on this early preview. You can provide feedback via the Give Feedback link on the new issue navigator in JIRA. Being a technology preview, the issue navigator is incomplete and will have bugs. For a list of known issues, please see this page: New Issue Search Known Issues. A custom field not showing on the View Issue, Edit Issue or Create Issue screens. A user receiving a notification when they shouldn't have, or not receiving a notification when they should have. Simply navigate to the issue and select the Where is my field?, Permission Helper or Notification Helper option from the More Actions menu. You can also access this via administration console ( JIRA tab > Admin Helper). Webhooks for issues have been extended and streamlined in this release. Webhook integration with post-functions is more seamless now. You can create webhook with no events (if you want to associate it with a post function) and validations will prevent you from accidentally deleting a webhook that is associated with a post function. We have also rationalized the number of issue events from sixteen to four. See the table below for how the old events map to the new events. A changelog is sent with the 'Issue Updated' event (excepting the issue_generic_event), which allows you to listen for this event and check the changelog for the change. 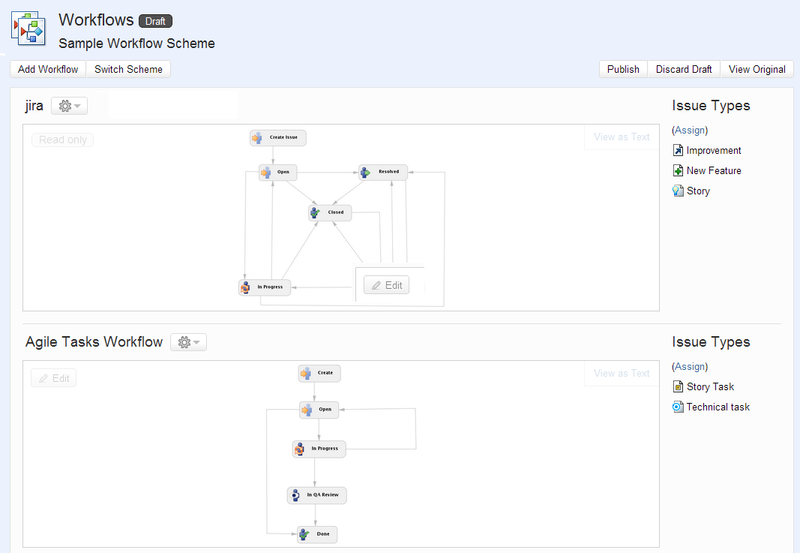 We've made a few tweaks to improve the usability of the workflow scheme designer. All of the workflow scheme actions, when viewing or editing a workflow, can now be found in one place at the top of the Workflows screen. The user interface for the workflow migration wizard has also been refreshed, making it simpler for you to migrate issues to new workflows.